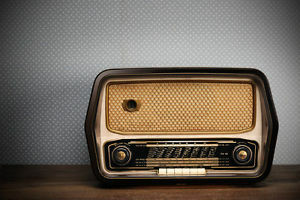 The Spirit of The Radio – ACRONYM Inc. The incredible thing about living in the 21st Century is that we have access to information and media of which our early 20th Century counterparts could never dream. Not only taking into account monoliths like Apple who entirely changed how everyone consumes information in the modern era, but just the access to factoids that would be difficult to source even 10 years ago. We now live in the future, as difficult as that may be to fully process. Case in point: at any given moment I can listen to digital transfers of Edison Wax Cylinders, watch The Avengers on a massive screen, text a friend of mine in Istanbul, and take 1000 pictures of a cat sitting next to me, all through devices that are middle class mundanities in this modern world. The future, indeed. As a media junkie, I’m always looking for new things to absorb, and with my mind on the very problem of and created by modernity, I stumbled across a CBC Radio broadcast of a program called “The Wire,” and the seeds of this show were first sewn. Our relationship with music today is entirely born out of music’s relationship with electricity, something that goes back to the end of the 1800s. As early pioneers discovered ways to capture music – an experience that, previously, required the listener to be in the same room with the performer – music entered a new kind of simulacrum, where mechanical objects were standing in for the real performance and “playing back” these sounds. Obviously, Edison is one of the movers and shakers in this revolution, but that is not to say that he was the only person fixing sounds to some object in space. However, his work set the template for the record industry that was to come, and in that sense, he is very relevant. Electricity is now married to music in a way that seems inseparable to the modern ear, and yet is in no way apparent when you are turning on a streaming service to help pass the time. In 2011 I expanded the scope of these audio essays to a four-hour, two-part broadcast called “Before ’75,” briefly covering as much material as I could about the earliest days of the pre-punk music scene. However, I always felt as if that show was not enough. Four hours covered a ton of music, a number of artists, and included a lot of really good interviews and samples that drove the point home. But the beginning felt lacking. I always thought that, if you logically extend the story back further, punk rock only really has context if you tell the story that came before it. Act I of punk rock is the merger of electricity with music; distorted guitars and DIY cassette releases need the first 70+ years of music history to make their revolution son incredible. I immediately envisioned a new, bigger and grander idea for “History Lesson.” Let’s really take the listeners back to the beginning. As we roll back the tape to the end of the 19th Century, the state of music was merely that of being in the same room as a music source: a performer. From there, we move forward through acoustic recording techniques with Edison, the major difference microphones had on the sounds you could record, and along the way present music that complements the story while driving the narrative from time to time. Later, we discuss the impact recorded music had on the film industry, and enter a discussion about how these factors lead to the birth of radio itself, a pastime so near and dear to my heart. At this stage in the program we switch our audio samples over to another very different documentary, “The Empire of The Air.” This Ken Burns documentary of PBS covers the story of Radio through three men, interestingly enough glossing over Marconi, and omitting Tesla entirely. (For shame.) However, it does a good job of drawing a parallel to Edison and his relationship with recorded music: not only do the pioneers of radio develop amazing technology, they are setting the course for how radio would act in the public for generations to come. And, along the way, there is music to help tell the story. And what a story it is. On & On & WAY UP.